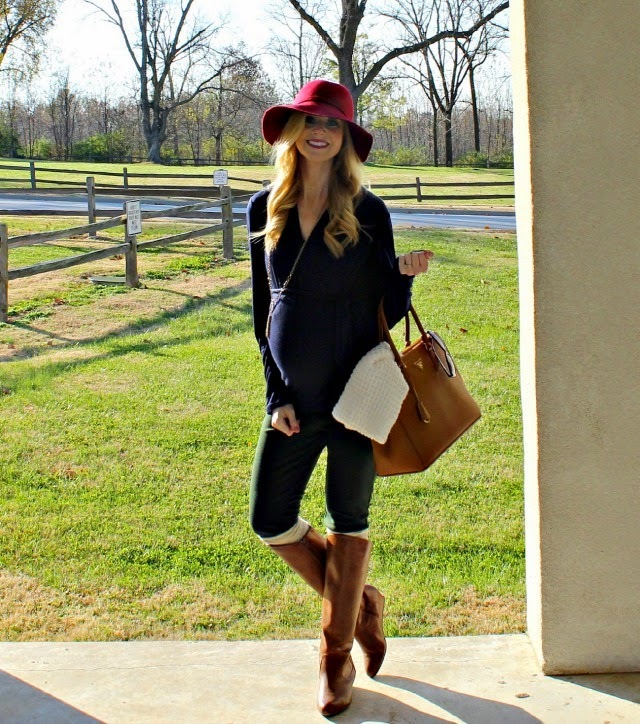 This navy blue Anytime Wrap Top from Shabby Apple is about the best thing ever. It's non-maternity, but at nearly 35 weeks, the design and cut made it a home-run for my baby-bumpy silhouette. 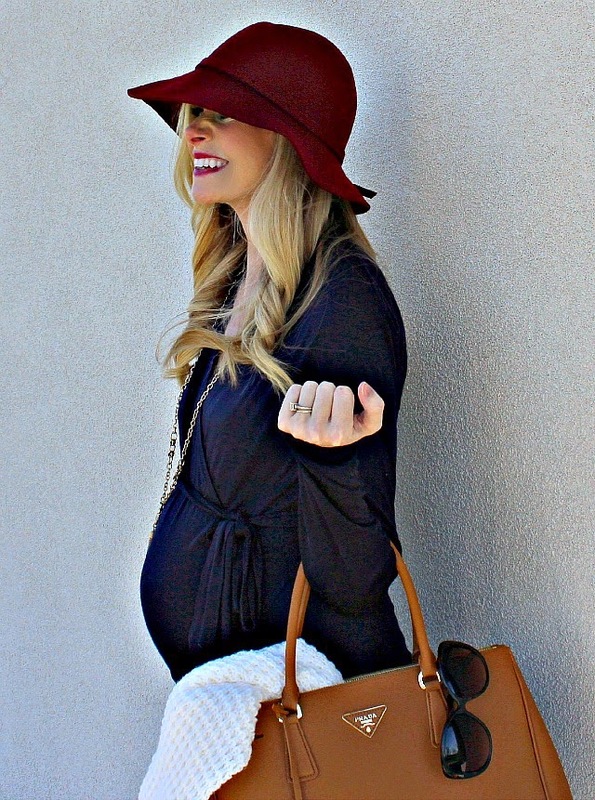 It's a classic piece that's going to be a staple in my fall rotation now and well after Ainsley arrives. I like to pair these colors with gold jewelry instead of silver because I feel like it balances out the coolness of the jewel tones. But, it's your world, so go with silver if that's more your thing. For more outfit inspiration, you can follow Shabby Apple on Instagram (username: shabbyapple). I like to keep up with them for daily outfit ideas, which is great when I'm feeling a little uninspired - easy to do when the weather gets colder! You look absolutely gorgeous! I love everything about your casual chic look and the added hat rounds up the look perfectly. Like I said on IG, I love this look on you. You look beautiful and SO HAPPY! You look fabulous!! So cute!!! The color combo is perfect!! You look so cute preggers, I almost want to have another baby asap. Almost. :) Love that hat! Pregnant girl is the most beautiful one in the world, you are in full happeiness and i do feel you are confident . You look fantastic!!! Love this look!